This big carp was caught in North Carolina by Thadd Rice. He was able to catch and land the big fish by netting it. You may recognize Thadd from his earlier photos where he was sporting a giant head of hair. He’s since shaved it and is now catching bigger and better fish than ever before. Thanks for sending this in Thadd and good luck. 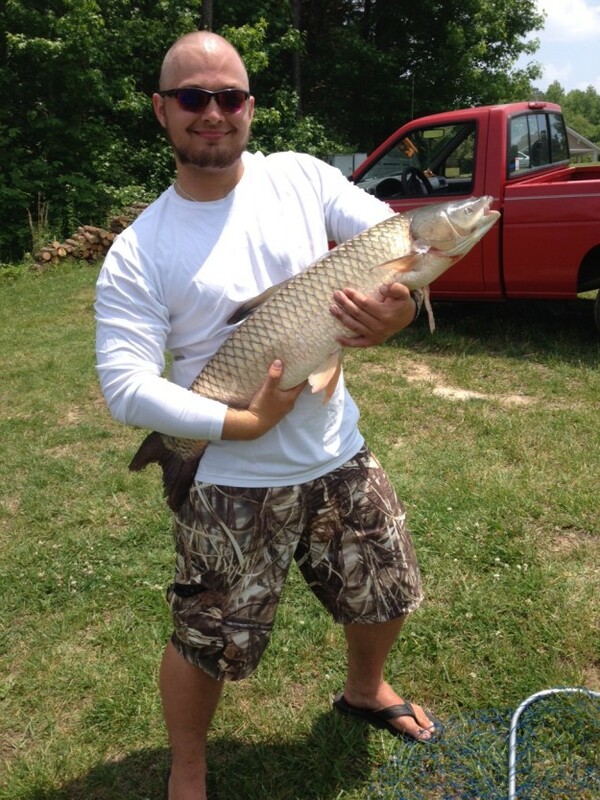 We hope to see some more fishing photos from you and many other MorningMoss users. Send us your photos by emailing PJ@MorningMoss.com. Be sure to follow us on Twitter and Like us on Facebook too.